The Stealth 4 Linear visor lights are mounted high at the roof level, so they illuminate a wide 120° area in front of your vehicle. Undercover 4’s with highly focused TIR lenses, perfect for bumpers, grilles, and side view mirrors, light up the ground. With this combination of Linear and TIR lenses and the 88 Watts (+/- 2400 Lumens) these produce, you’ll have the light you need right where you want it. 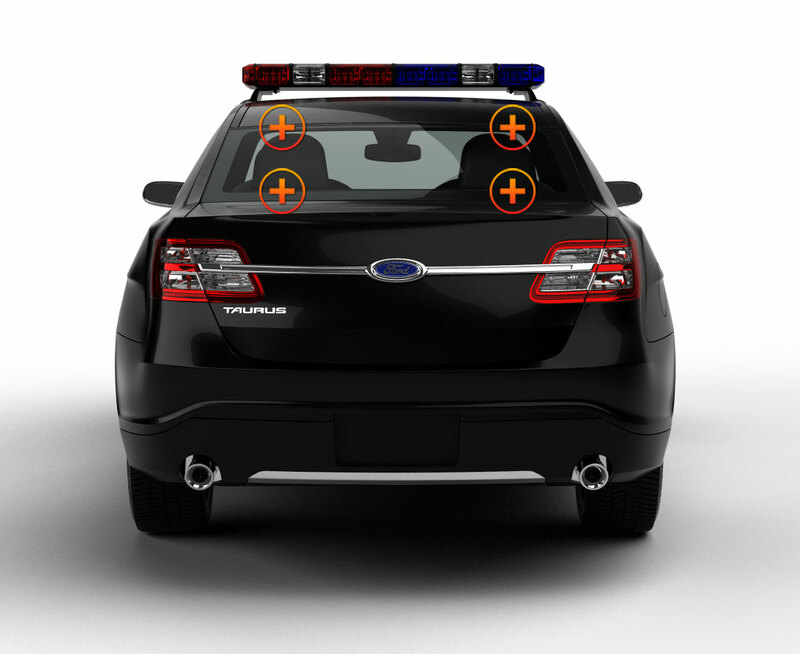 At just 17” long, the visor lights, attached with Velcro strips, hide right at the top of the windshield, going completely unnoticed until switched on; the Undercover surface mounts are only 5” long and fit well with standard running lights, so they, too, go unnoticed. 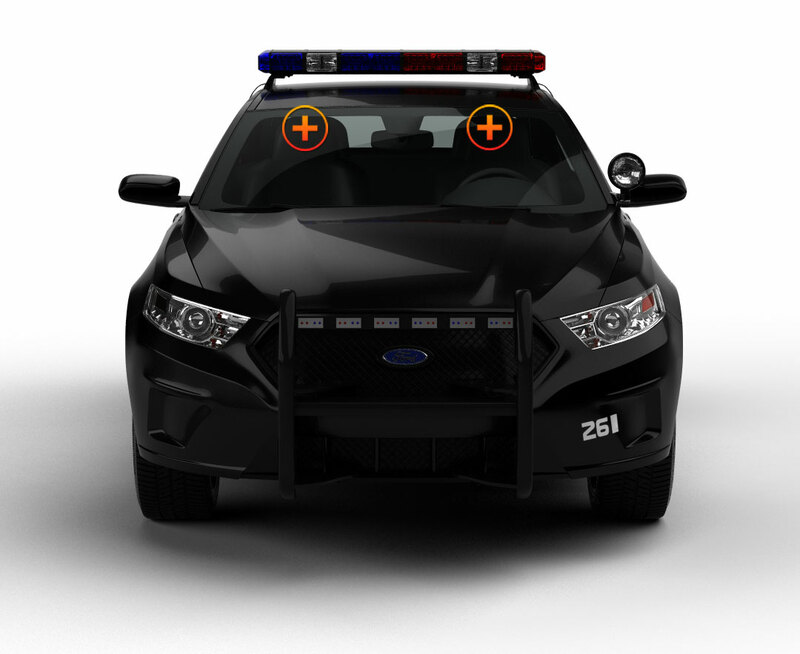 For those first responders who want a professionally well lit cruiser or POV when the job calls for it, but don’t want ‘to sport’ a bunch of emergency led lights when off the job, this light combination is worth considering. Flashback shields fit to the visor lights to protect passengers’ eyes. Made for the interior only, the Stealth 4’s plug into the cigarette lighter outlet; the exterior Undercovers are hardwired to an existing light system and come with color-coded wires for easy installation. With The Stealths have 13 solid and/or split color combinations to choose from; you have 5 solid color choices with the surface mount lights. Housings and lenses of the visor lights and surface mounts are made of polycarbonate; it’s tough and shatterproof. The waterproof surface lights are sealed with epoxy and are mounted with a rubber gasket for a tight fit. Extreme Tactical Dynamics has put together these light bundles because it’s these same light combinations that so many of our satisfied customers have bought from us. If you are a DIY sort of person, be sure to check the Installation Guide in Knowledge Base before mounting the Undercover 4’s. The Stealth 4’s give you an amazing amount of light in virtually no time at all!